Are you bored with sandwiches in your lunchbox every day? Then it’s time to wrap! Tortillas are quick to make, and you can have them cold with yummy fillings–perfect for lunch–or you could warm them up and use them in a marvellous Mexican meal. Bread is really fun and cheap to make, but there’s usually a lot of waiting around for the dough to rise. One of the best things about tortillas (apart from being yummy) is that they are flatbreads, so you don’t have to do much waiting at all–fun and fast cooking at its best. 1. 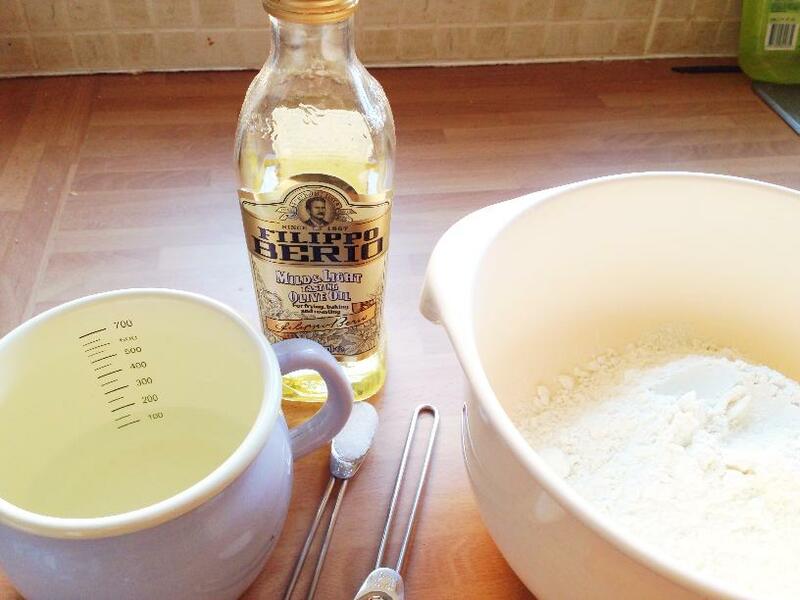 Mix the wet ingredients (water and oil) together in a jug, and mix the dry ingredients (flour, baking powder, salt) in a large bowl. Add the wet ingredients to the dry, and start mixing it together with a spoon. 2. Once it starts to get doughy, your fingers need to join the dough party, and you should knead the dough for a few minutes until it’s nice and smooth–it really doesn’t take long at all. 3. 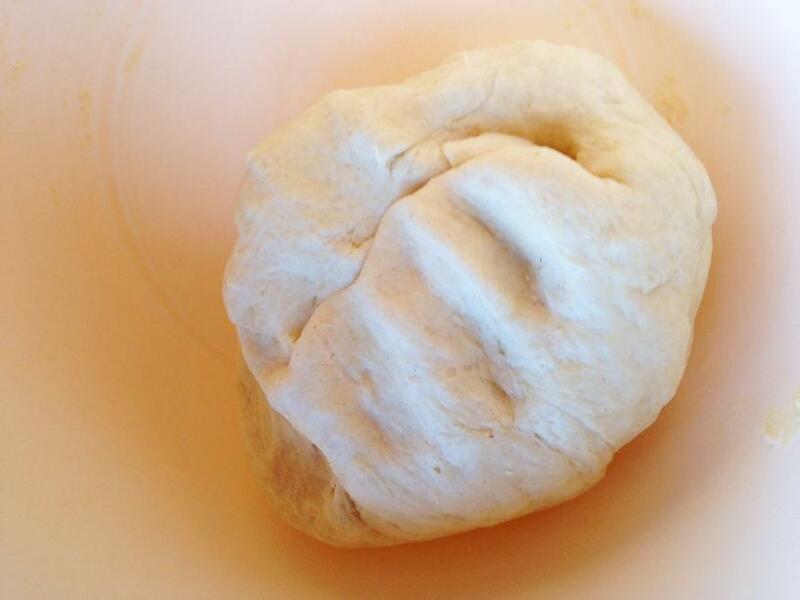 Now, cover the bowl and wait for around 30 minutes (or more) to let the dough relax and become softer–it makes it easier to roll out, but you don’t have to wait, if you don’t have the time. 4. Split your dough into 6 equal sized pieces, roll each piece into a ball, and then roll it out using a rolling pin–use some flour to stop the dough sticking. Each piece should be around 20cm in diameter–it should be really thin. 5. 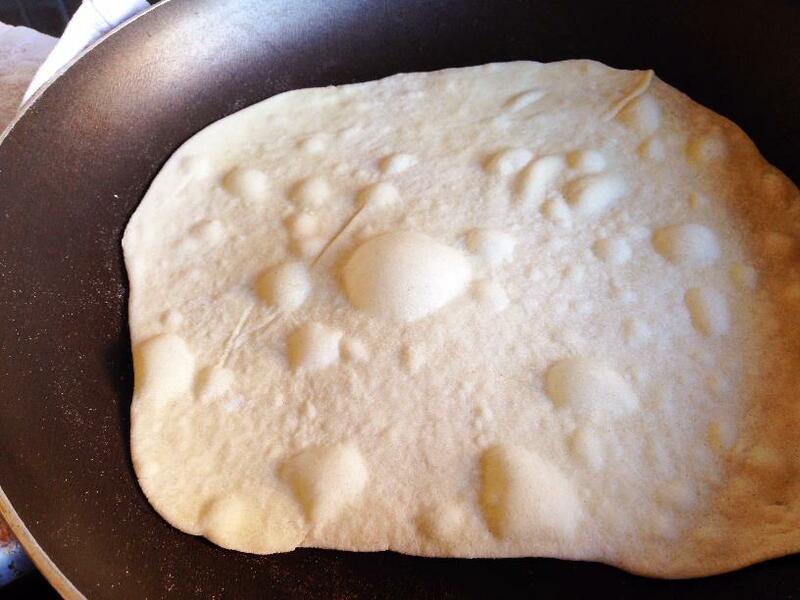 Heat a frying pan (with no oil) until it’s pretty hot (BE CAREFUL), and then put a tortilla into the pan. When the tortilla starts to bubble you can turn it over using a fish slice or spatula–ask a grown-up if you don’t feel confident at doing this. 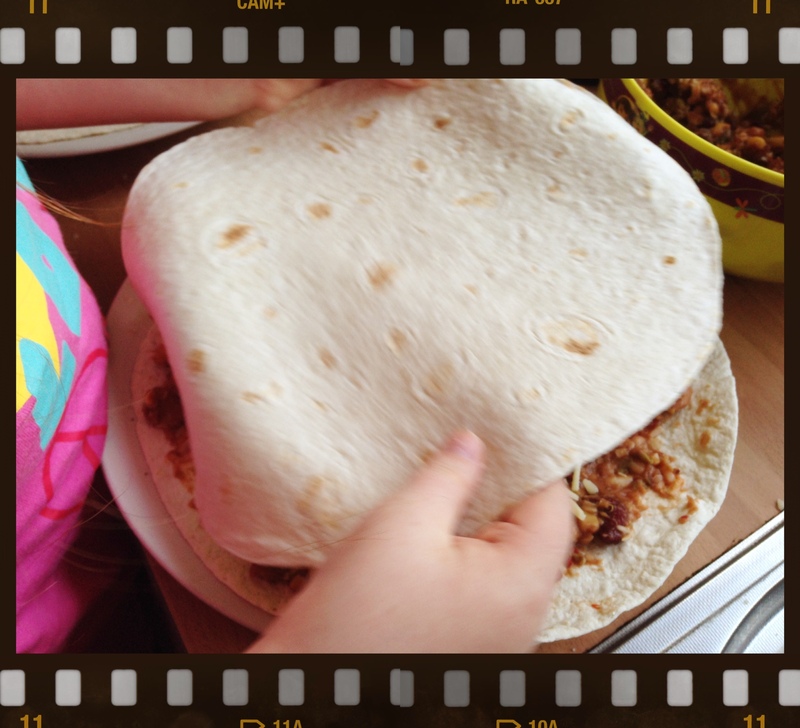 Put whatever yummy fillings you like on top of the tortilla and roll it up, ready for your lunchbox. 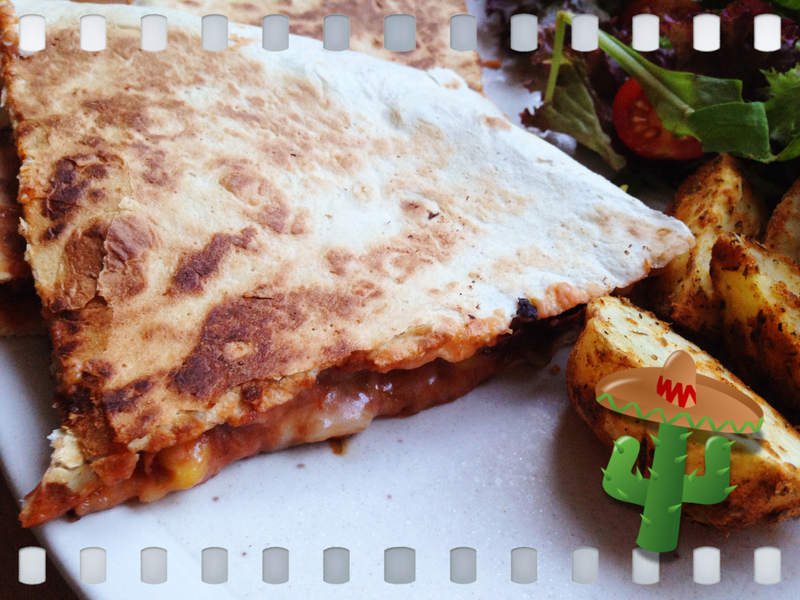 Or why not use them to make quesadillas for a weekend lunch–just like kids in Mexico eat. 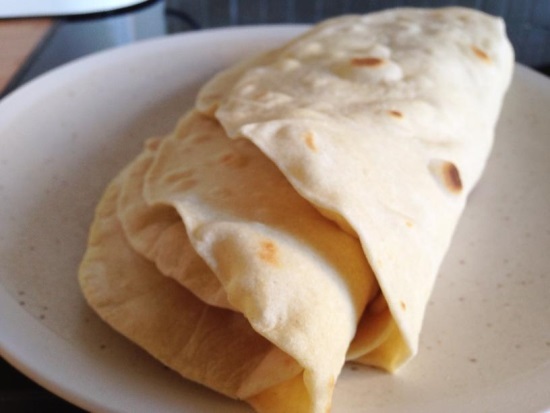 Tortillas can be kept in a freezer bag (or similar) for a few days and still taste delicious. Tortillas are a flatbread, and they have been eaten for thousands of years in Mexico, as well as in some parts of the USA. Just as loaves of bread, and bread rolls, are a big part of our diet in Britain, tortillas are a major part of the diet in Mexico. They can be made from flour, like the ones you’ve just made, or they can be made from corn. 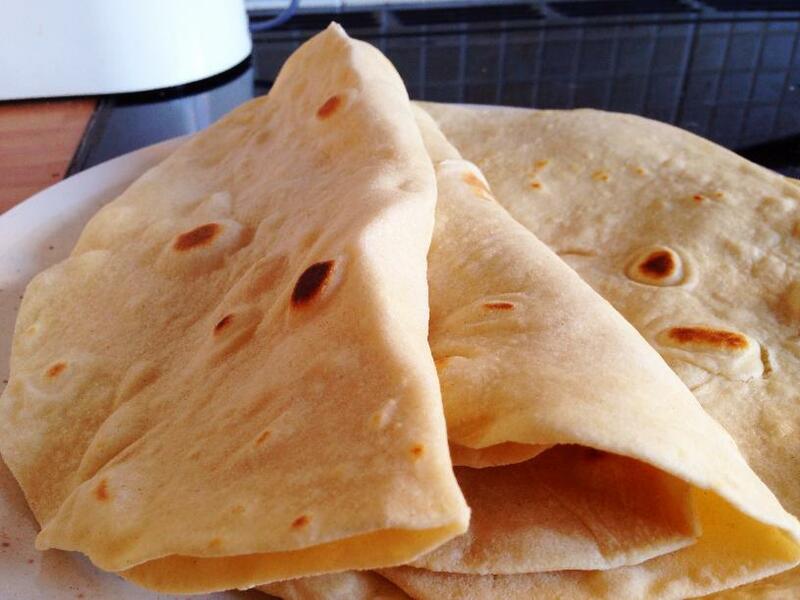 Because tortillas are a flatbread, they are fast to make–they don’t use any yeast to make them rise, unlike our loaves of bread, and they can be cooked quickly too. In Mexico, tortillas are commonly used to make dishes such as enchiladas, quesadillas, burritos, and tacos–tortillas are filled with different ingredients and spices, and are served warm. Don’t want to miss out on any new Mini Yummers recipes and fun? Then follow us on Twitter @MiniYummers, or like our Facebook page. Hi we tried this at school with wholemeal flour and they went quite hard and brittle so wouldn’t wrap,what can we do to prevent this in the future? Don’t use wholemeal flour, is the quick answer. Wholemeal flour soaks up more moisture than white flour. 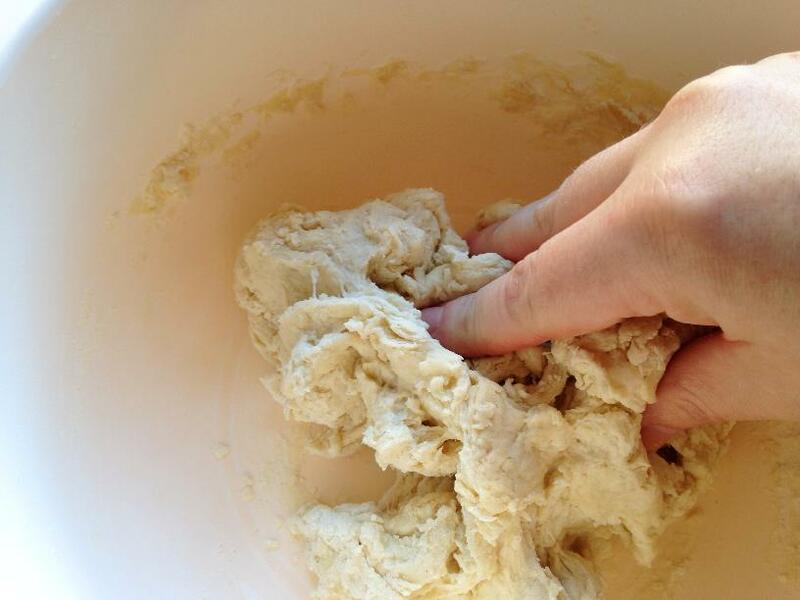 You need the dough to be nice and soft before you roll, so you could try adding more water or oil. Also make sure you don’t overcook them–they really don’t need long. But I think that wholemeal flour is the main cause of your problem here. If you really wanted a wholemeal element then you could try 1/3 wholemeal and 2/3 white but I can’t say for sure how that would turn out. But that’s roughly what you’d do when converting a white bread to brown bread recipe.